Personal data these days find their way on to smartphones with ease. Since that is the case, one may not be just carrying around his or her photos and videos, but also sensitive data like that of their identity, and their banking details. The Apple Inc. has always come up with more upgraded features in every one of their newest iPhone. That is why when you go for selling off your old or existing iPhone, make sure to erase iPhone. Only by doing this, you can rest assured that no slight data goes on into a stranger’s hands ever from that previous phone. Have you noticed that data is still accessable and recoverable after you wipe iPhone with iTunes? It's true. It's not safe for you if you stored private data on your iPhone. 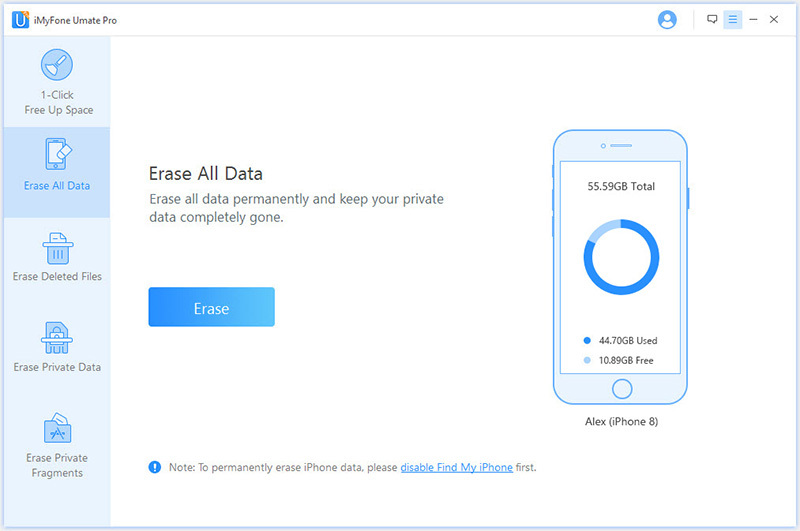 To stop you from suffering privacy leak, don't simple wipe but permanently erase your iPhone. How to completely wipe iPhone? Just take advantage of iMyFone Umate Pro iPhone Data Eraser or Mac version. 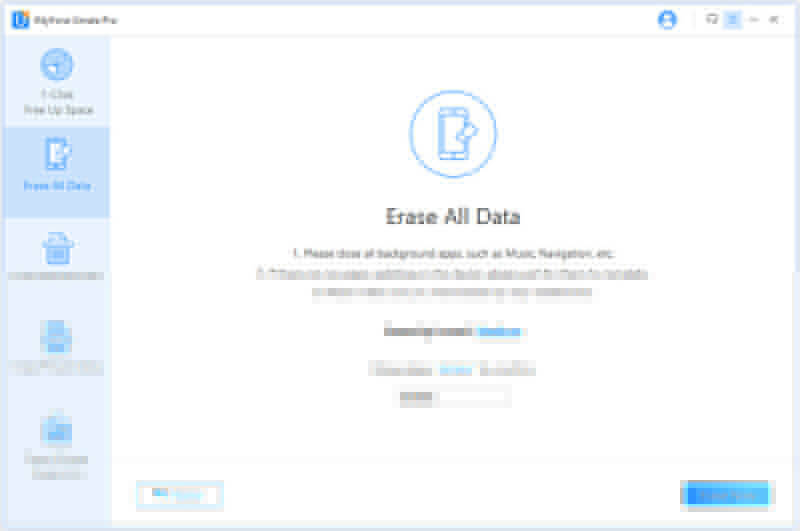 It is a popular erasing tool that has been able to remove data from media files and logs from iPhone. The software application comes with various properties and functions that include erasing all data and restoring speed in iPhone. Safely Wipe: Data erased is 100% unrecoverable. Your privacy is protected even iPhone is on other's hand. Erase Selectively or All: You can permanently wipe the whole iPhone or just some sensitive data. Wipe Deleted Files: Scan out recoverable deleted files and completely destroy them. All iOS Data: It supports all iOS data, like messages, contact, call logs, image, video, browsing data, note, WhatsApp/WeChat/Viber/Kik data, etc. iMyFone Umate Pro is recommended by industry experts, like getintopc.com, MacWorld, APPKED, etc. It’s safe to download. It does work if you wish to secure your data. Even after iTunes clearing all data, the iPhone might still have a few data lurking somewhere in the iPhone itself undetected. 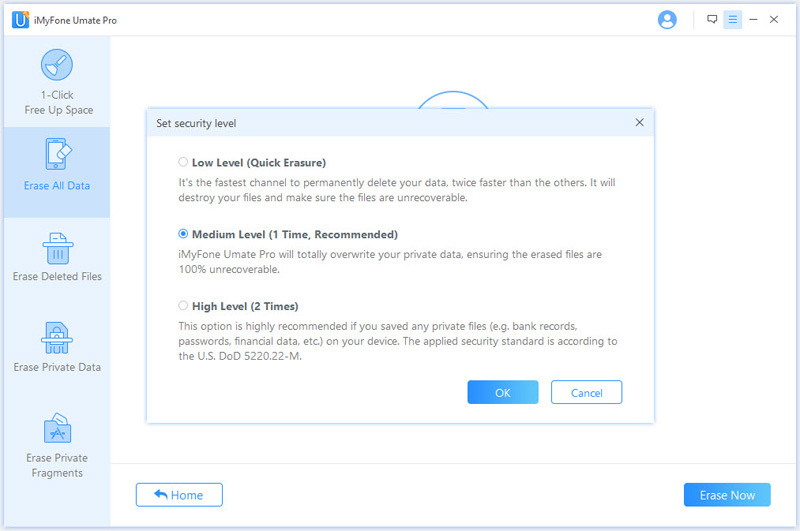 So, in order to remove the deleted files, you would need a much powerful application like iMyFone Umate Pro. Step 1: Establish a connection between your iPhone and computer. Open iMyFone Umate Pro. Step 2: Click on Erase All Data option on Umate Pro, which appears second on the left column. Step 3: Click on Erase option. Step 4: You can click Medium link beside Security Level and choose High instead. It’s the safest level but of course takes more time. Do it especially when you want to give away your iPhone. Step 5: Type “delete” into the box and confirm it by clicking Erase. It’s not hard to erase iPhone through iTunes, but it’s not safe enough especially when you want to sell or donate it. You have to remember that though you would be able to erase iPhone from iTunes, with a recovery tool or the other, you can still recover the data. Step 1: Open the iTunes application on your computer and connect the iPhone to your computer. Step 2: Click on your iPhone’s icon on the iTunes and open the Summary tab. Step 3: Click on “Restore iPhone”. Step 4: Click on “Restore” again. iTunes will begin erasing your iPhone and installing the newest iOS. Step 5: Once the process is complete, iPhone will restart. You can set it up as new. Note: Some private data is not gone forever after restoring. It's easy to use recovery tool to access and retrieve previous data as the data is not removed from the device drive. Except that iTunes is not safe to restore iPhone, it’s very easy to run into iTunes errors which are always hard to get rid of. Yes, it’s easy to wipe iPhone with iTunes, but iTunes errors will make it super hard to go ahead. The most common errors may come when you try to restore is “This iPhone could not be restore. An unknown error occurred”. The error codes could be 9, 14, 2001, 2005, 2009, 4005, 4013, 4014, etc. Apple says the reason my be your iPhone disconnects, or iTunes couldn’t tell your iPhone to restore, but always that is not the reason. Actually, it’s much more complicated than that. If you would like to try something, you can refer to this guide. Or it’s much easier for you to use iTunes alternative, in this case, iMyFone Umate Pro for help. It would save you time and energy.